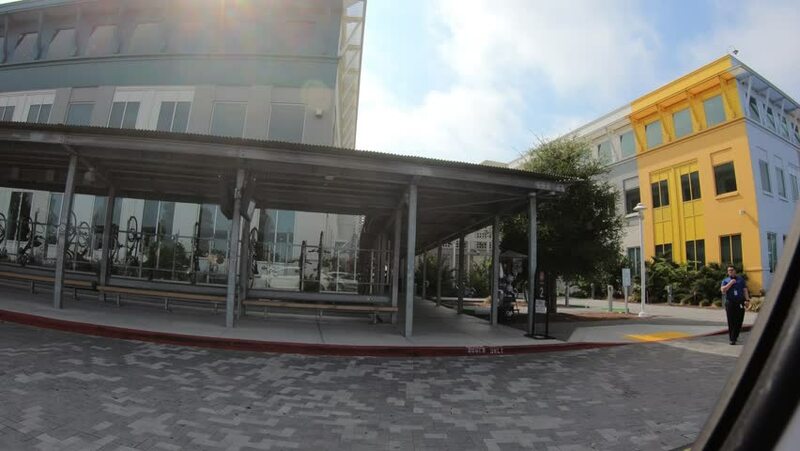 Menlo Park, California, United States - August 13, 2018: bike parking for Facebook employees of FB campus. Facebook Headquarters is the world leader social network company. 4k01:30Santa Monica/ Venice: Los Angeles, CA USA Set #10 - Left Front 3/4 View angle: Car travels S on Ocean Ave. on a cloudy day in light traffic. Shot on RED Dragon.